I was busy with the internet ablutions earlier; catching up with the e mails/favourite blogs/facebook and so on and came across a post from blogging buddies of mine on NB Tumbleweed. 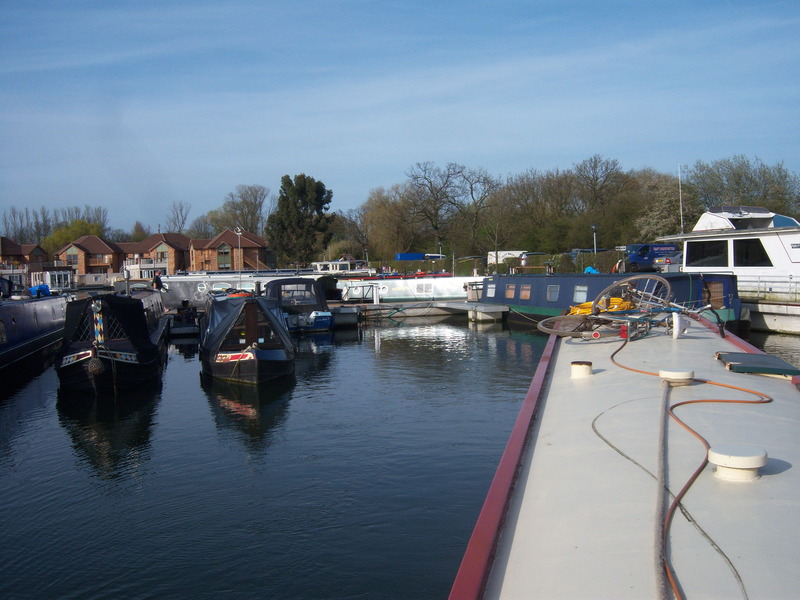 They wrote of a boat trip to Ely, which evoked memories of the time, five years ago now, when John and I had just started out on our mission to move Hobo from Hartford Marina to destinations unknown. A funny thing happened while we were there and I thought I’d share this with you on this sunny Wednesday morning. 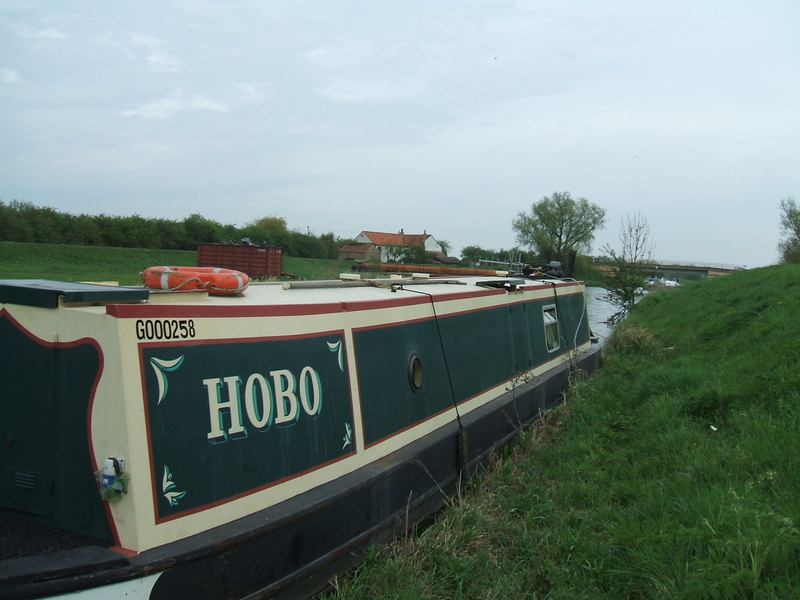 Back in 2010, John and I set off to explore Britain’s rivers and canals on my 47ft narrowboat, Hobo. 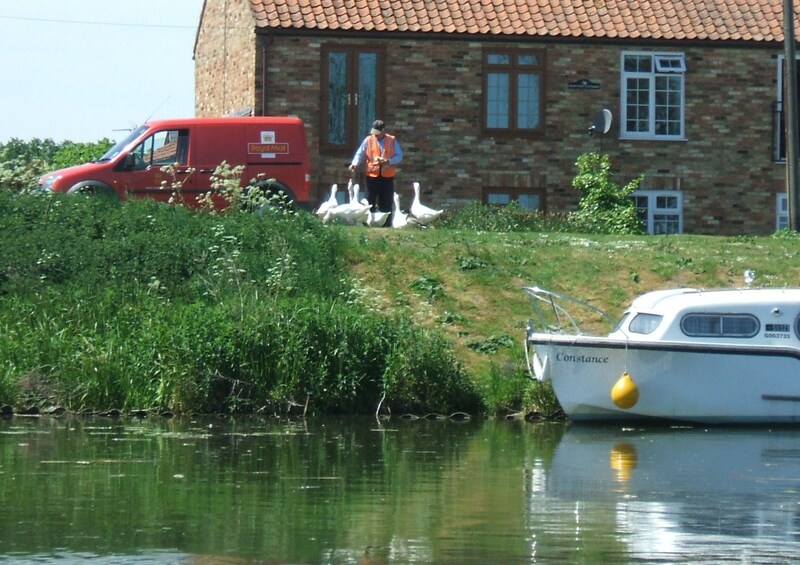 Our aim was to gradually chug our way around the waterways network as we continued to work. 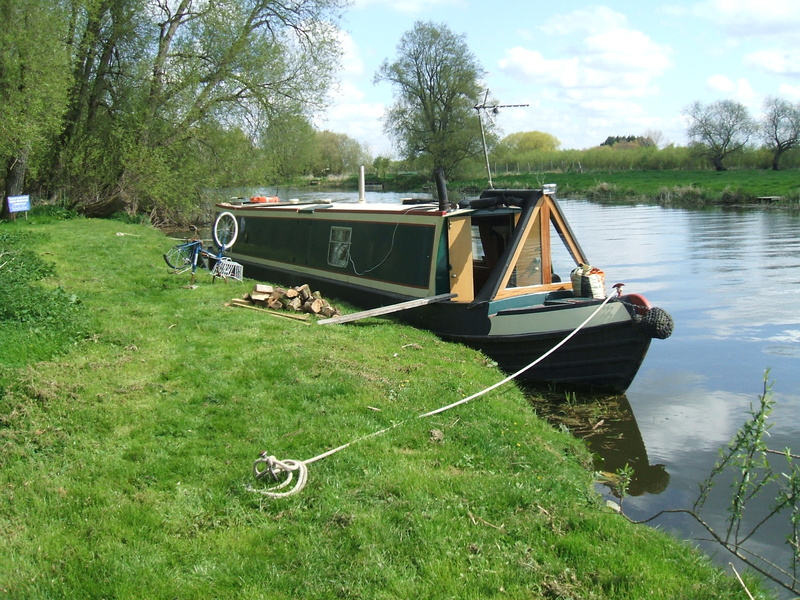 This entailed a little logistical ingenuity in the transport department but we figured we could hop the van along with the aid of a bicycle, thus enabling John to travel back to his home and work base on the fens after each few days of cruising. 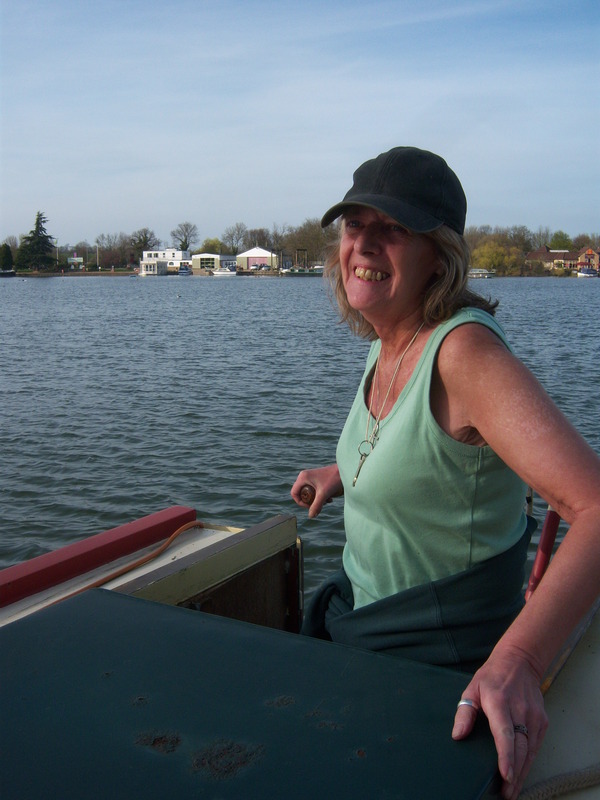 I could continue to work from the boat, which is my home wherever it happens to be. To name but a few. She gets around. It was fun. Naturally it was important that we found secure places to leave the van along the way, which generally meant we had to invest selflessly of our time in order to research likely waterside hostelries. We endured many evenings of drinking and eating as we sweetened landlords into granting permission for us to make use of their car park for a day or three – hard work but it had to be done. Ely doesn’t strike you as a hotbed of hooliganism but you can’t be too careful can you..? I happily slumbering on until a more sensible hour. Come mid-morning I was ready to saddle up, peddle off and explore the city. I was looking forward to it. 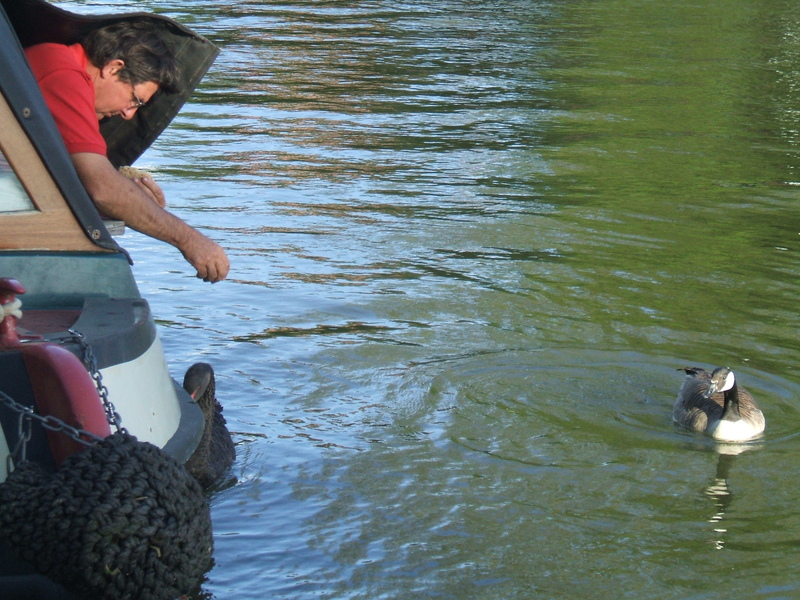 Making sure I had the keys to the bike lock, I secured the boat, closed the canopy and headed for my rusty steed. But it was gone – they both were. 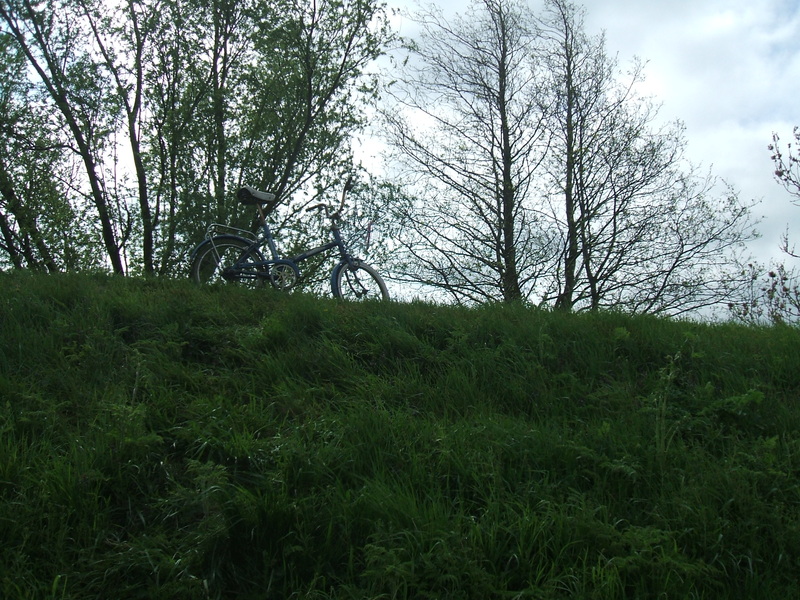 I did a double-take, scoured the riverbank in case I was being particularly blonde, but no bikes to be seen anywhere. They were gone without a trace. The boat moored next to us was being repainted so, after recovering my composure, I asked the man wielding the paintbrush if he had seen anything. Indeed he had. 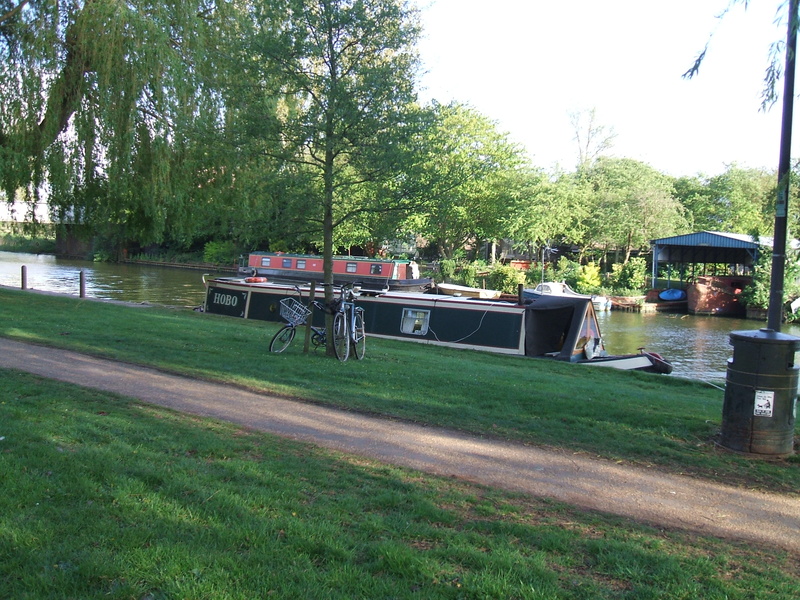 It seems that the woman who owned the boat he was working on had clocked the bikes, thought they were abandoned – like you always lock up bikes that you dump – and phoned the local council. She asked that they be removed as she feared they might attract troublemakers. My painter man had witnessed the arrival of the bin lorry early that morning and saw the driver toss them onto the back of his truck. OK so they weren’t the latest model super shiny mountain bike variety, both being resuscitated from the tip, but they weren’t that scruffy either, having been subjected to the odd spate of TLC. They were a tad long on years, had seen plenty of action but full of character. They suited us well. They were, also, essential tools for our new way of life so I was not prepared to let them go that easily and besides, we were very fond of them. 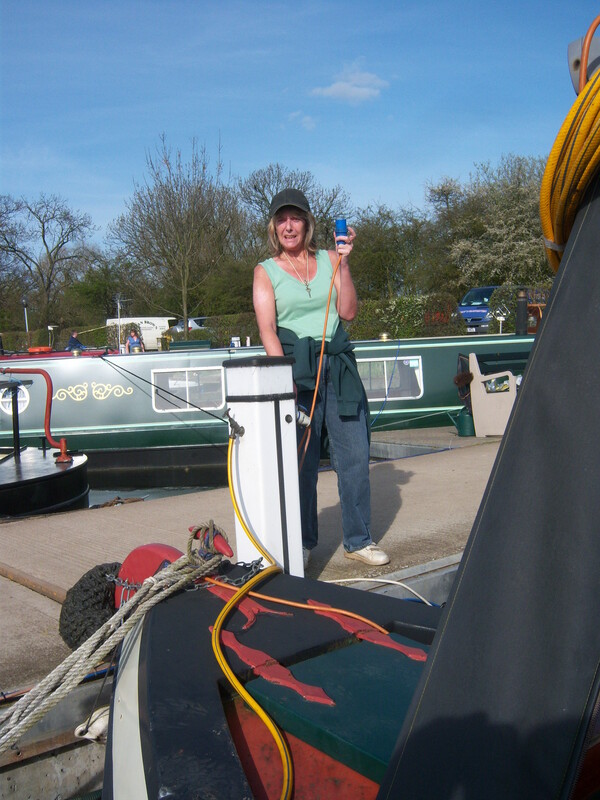 I did a recce but saw no lorry sporting the reported “Recycling Partnership” logo about so returned to the boat and did some telephone sleuthing instead. 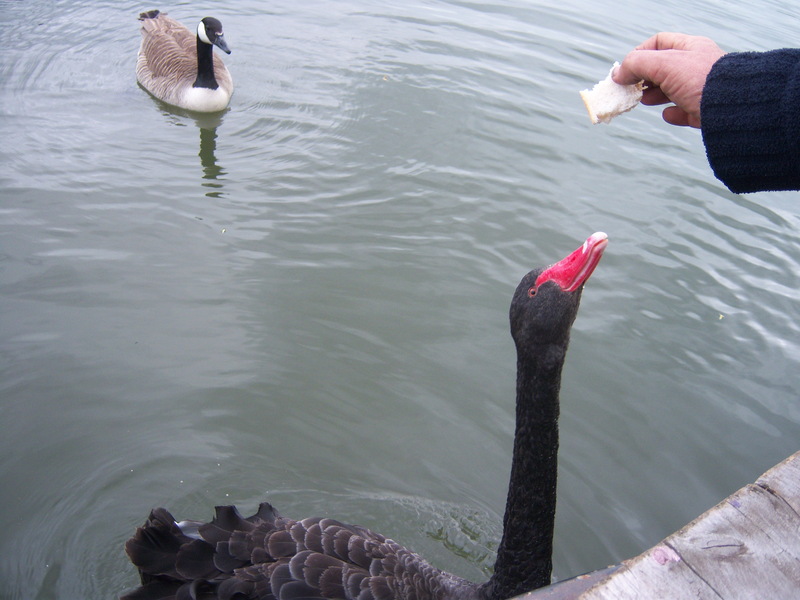 Eventually, after bouncing between various departments of Ely City and Cambridgeshire County councils, I was pointed in the direction of the contractor responsible. I left a message for the manager to ring me, he being out. I deliberately waited for his call before I relayed events to John in the hope that I would be able to do a “bad news/good news” sort of story. And when it came it was good news – they had the bikes and he would return them, personally, later that afternoon. He was as good as his word and did just that, apologised and explained how it had come about – Mrs Boat next door’s request. They were still locked together. 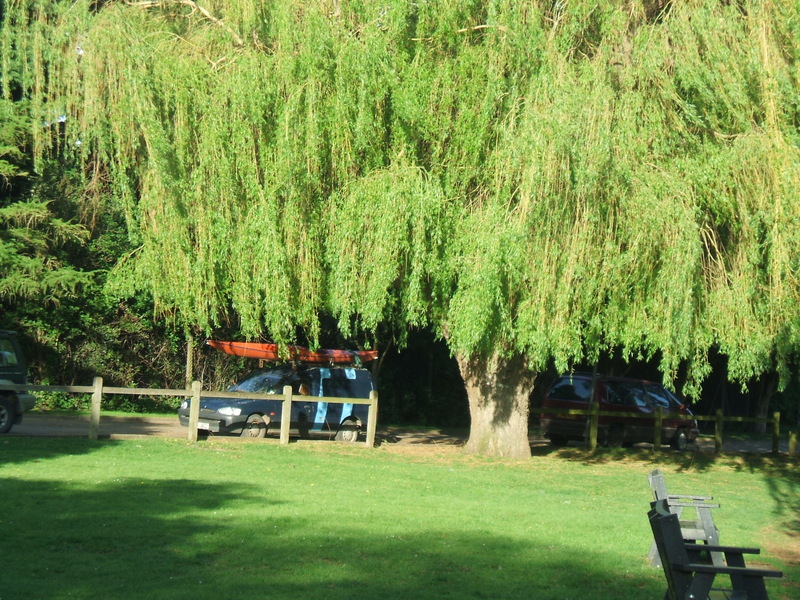 He had no satisfactory answer when I asked why no-one had queried this, they being locked, neatly parked by the tree close to the boat and clearly not abandoned. I suppose a quick knock on my roof to check if they belonged to us was out of the question…? Oh well I thought, all’s well that ends well. Not so, sadly. On close inspection, John discovered that the back wheels on both bikes were buckled. He was not amused. I was cross with myself for not having looked more closely when invited to check them over on their return. So the next day I was back on the phone; the receptionist recognising me instantly, which was a bit of a worry. “It’s that crazy bike woman again” I imagined her calling to the boss. But he behaved impeccably and agreed to cover the cost of the repair, on receipt of evidence of outlay naturally. Fair enough. would be fixed at no cost by cannibalising its twin, which we had acquired for spares. We finally agreed to go halves and his contribution was subsequently paid into our bank account. 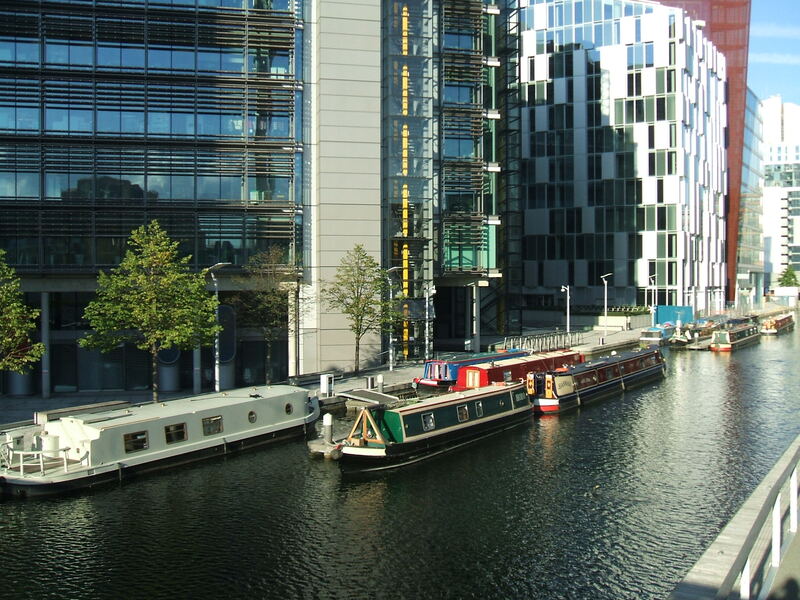 We decided, however, that in future we would leave the bikes stowed on the boat. Given the current emphasis on recycling, going green, the cycle paths that now sprout along the roadside and high profile TV anti-obesity campaigns, it all seems somewhat bizarre. We’d got on our bikes to become fit instead of fat, only to have our recycled cycles nicked by the recycling wagon. And, it seems, at the behest of a random member of the public. No questions asked, no checking, just carted off. Would they be so swift to remove “abandoned” items elsewhere on request?